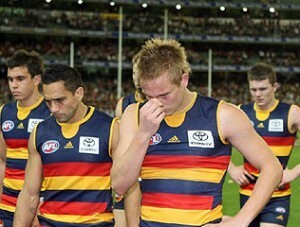 Tired of watching our AFL teams, the Crows and Port Power, lose each weekend. Can't stand to watch them anymore? Do you think South Australia should break away from tradition and support some sports that we could actually win at? Here are some sports South Australians could potential embrace and become champions in. South Australia is hosting the national championships in July. We may not have produced as many Iron man as the Gold Coast, but there is no reason why we can beat the Queenslanders in inflatable boats. Near enough to our own football, but with a round ball. The Irish usually beat the Australian AFL team who head over to Ireland once in a while. Why not practice with their ball, forget the odd shaped AFL ball and become world champions. Teams play in Adelaide on Sundays. Click here for more details. Only, to please the animal rights people and make it more exciting, we'll set it up to give the bull a bit of an advantage (rather than the disadvantage they have in Spain). Most of the celebrities can be ex-politicians, washed up reality show contestants, former AFL referees or Victorians (preferable at least two of the four fore-mentioned). What do the participants get- a fancy suit and the cheering of the masses at Adelaide Oval for their participation. I'm not sure I have Don Bradman's blessing on this one. If you think this is a great idea, please contact Eddie Mcguire. Alternatively we could watch the Netball and our women sportspeople- apparently they are topping the nation. The Australian team is filled with South Australians and are world beaters (lets forget that hiccup at the Commonwealth Games) Perhaps the men can go back to the kitchen and let us women show them how it's done. So, there is my run down and I haven't even mentioned any other codes of football, which apparently exist in the Eastern States and other countries. Please, let me know if you have any better ideas.